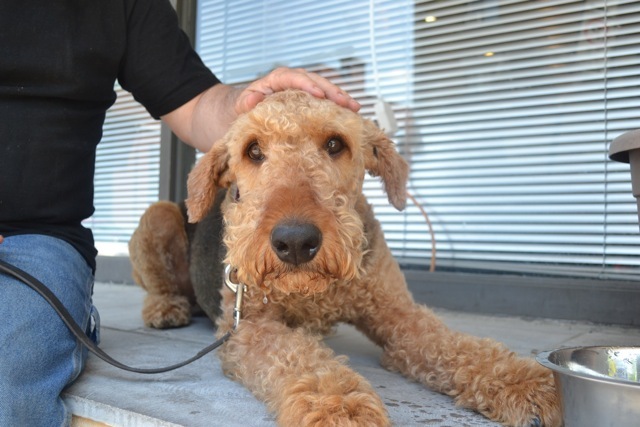 Calling Quebec Airedale Lovers – Meet Lou! 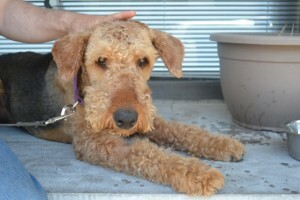 Lou is a 4 year old male Airedale who was just surrendered to the Montreal SPCA. 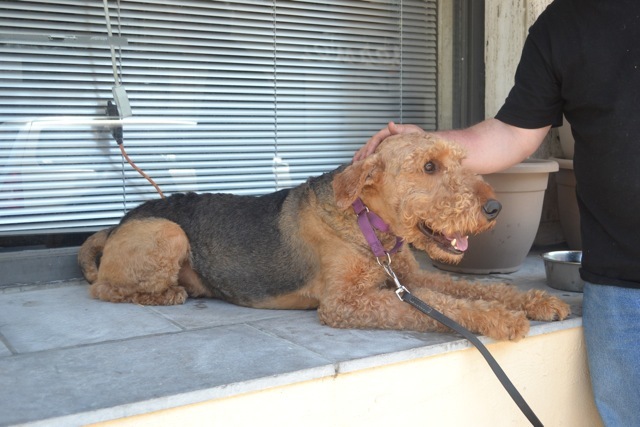 He is looking for his forever home and appears to be a very sweet boy but is looking for a family where he is the only dog. 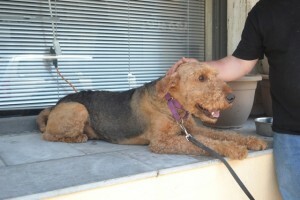 Lou appears to be very assertive with other dogs but not aggressive. 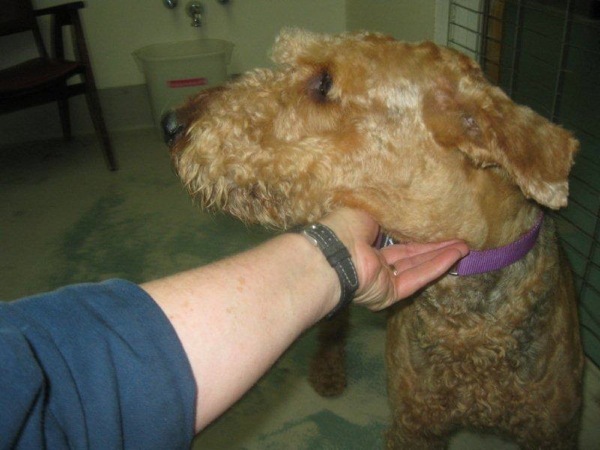 He puffs his chest and growls but will allow other dogs to sniff him. With some socialization and a bit of training this sweet and smart boy will make an amazing companion. Let us know if you want to meet Lou, he is currently in Montreal.